France has never been known as a hotbed for metal bands, especially power metal bands. 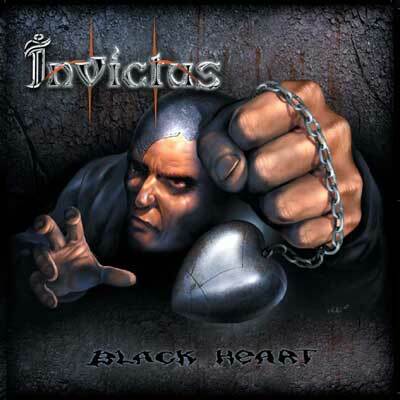 With the release of Invictus 'Black Heart', that might change. They play a familiar style of Germanic power metal (Helloween, Stratovarius) mixed with some symphonic (Rhapsody, Nightwish), and progressive (Savatage) elements. While not entirely original, it is a solid and respectable release. Another characteristic of Invictus' music is their use of melody. Although these guys can play (Guitarist Mikael Fitrzyk is a monster), the song comes first. A lot of power metal bands dazzle us with so much technique, but fail to deliver memorable songs. Melodies are plentiful on Black Heart, and they will get stuck in your head for a while. Production-wise, Black Heart is much more stripped-down than most power metal fans are used to. Vocals and guitars are the focal points here, although all instruments are clear and well-recorded. Even with its symphonic elements, Black Heart has a more organic sound than other bands of this type. I was pleasantly surprised by Black Heart. Well-played power metal without ultra-high screechy vocals is rare. 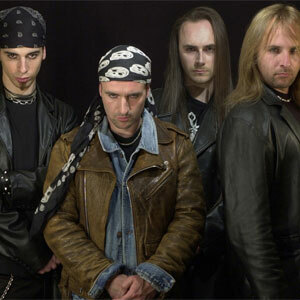 With a little more originality, Invictus could make a big splash in the vast power metal sea.